Printed schoolwear, workwear, safety wear, sports wear, gym wear, active wear. Printed garments make people immediately recognisable and create a sense of identity, community and purpose in groups, whether worn in a professional or social setting. Used for work, as sports team kit or school uniform they show pride and good organisation. Used for a hen party, stag do or other celebration they ramp up group spirit and camaraderie. Harveyboard Print & Digital creates striking, high quality, digital ‘direct-to-garment’ and screen printed clothing and accessories – in adult, child and toddler sizes. We supply personalised, branded and corporate apparel for a range of purposes and industries. We offer an immense choice of printed garments for every budget, from low-cost printed t-shirts for single day use to leading label designer clothes that will last for years. Look no further than Harveyboard Print & Digital when it comes to creating the ideal printed clothing for you. OUR printed sports, gym and casual wear clothing make perfect attire for teams, coaching staff, personal trainers and athletes who are serious about activity and leisure. Club crests, team names, squad numbers, event and business logos will all enhance our huge selection of non-branded and branded apparel that includes Nike, Adidas, Musto, Rhino, Russell, American Apparel and Result items. Choose from ranges of shorts, t-shirts, vests, polos, hoodies, sweatshirts, sweatpants, skirts, skorts, leggings, crop tops, base layers, fleeces and jackets for football, rugby, golf, cricket, netball, cycling, running, sailing, horse riding and winter sports. We also print designs on shirts, blouses, suits, formal wear, trousers, knitwear and loungewear among a myriad of other casual clothing items. 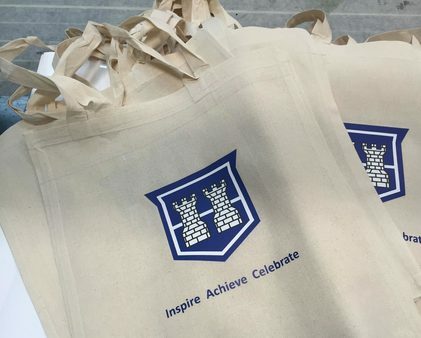 HARVEYBOARD Print & Digital produces high quality school wear, workwear and safety wear printed and embroidered with logos, crests and lettering to suit a large variety of industries, businesses and educational institutions. We offer comfortable and hard wearing school wear from Russell, Maddins and Fruit of the Loom. Our workwear and safety wear comes from Dickies, Yoko, Portwest and Result among other recognised industrial clothing labels - so you can be sure your garments will last. We offer uniforms and outfits for catering, health and beauty and other service industry professionals as well as heavy duty, reinforced bibs and braces, trousers, jackets, coveralls, gloves, shoes and boots, hi-vis waistcoats, jackets, t-shirts, hoodies and sweatshirts for tradespeople. WE can kit you out with everything else you need to complete a complement of printed items for your work, home and active life. We've got every type of item you can imagine. Emblazon you company logo, team badge or school crest on back packs, messenger bags, cargo, duffle, holdall and kit bags, suit bags or a full range of luggage. Fill them with branded wash bags, towels, slippers, robes, hats, caps, scarves, gloves, umbrellas, wallets and phone pouches that carry your brand. We can even give more than 30 cuddly toys with a personalised emblem or message for an extra personal touch. And for all of these items you can choose from up to 20 colours and colour combinations to match your organisation’s identity. Don't hesitate to get in touch to discuss your requirements. Or drop into our offices to browse our 900+ page catalogue of printable clothing items.